INMED is thankful for our new partnership with Christina Krogh of Building Confident Kids, a 501(c)(3) organization that seeks to build the self-esteem of children in crisis situations by providing care packages and support activities, such as art, music and pet therapy. Christina will be providing special care packages for children in our After-School Program at the Opportunity Center. The care packages contain inspiring children’s books and journals to support expression, as well as toys and stuffed animals. 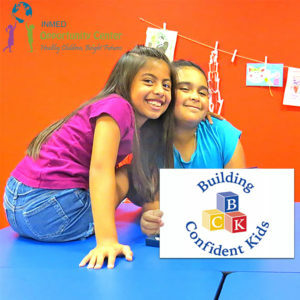 For more information about Building Confident Kids, visit http://www.buildingconfidentkids.org/home.html.